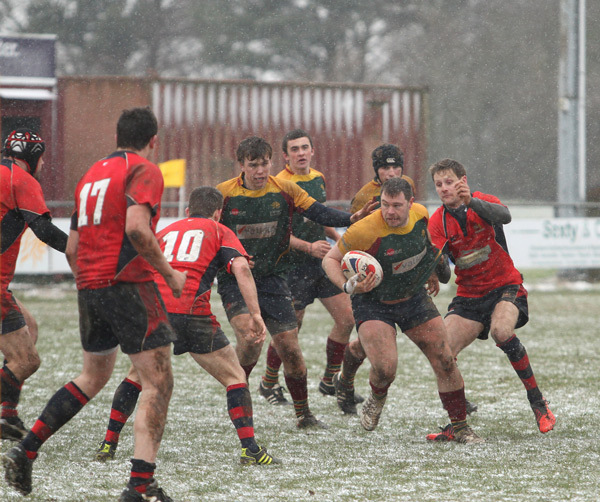 It was a freezing cold day for rugby, but Norwich were striving to remain top of the table against relegation contenders Wisbech. Norwich looked the stronger team, but Wisbech were resilient and kept their opponents at bay until their no.8 received a yellow card and Norwich grabbed the lead. The team sponsored by Anglian Home Improvements continued to play well and ensured a comfortable victory 12 – 3. If the Lions are looking to be promoted they will have to earn 3 points from their remaining two games, starting with Beccles away. For the full match report, click here.